In just one week the Federal Government will announce its decision on Malaysian oil and gas giant Petronas' Pacific Northwest LNG export terminal. They're making the decision right now and the Skeena needs your help to ensure wild salmon stocks will remain intact for generations to come. Protect Skeena Salmon by telling Trudeau to reject Pacific Northwest LNG! In boardrooms on Parliment Hill, Cabinet is discussing the decision on PNW LNG right now! On October 2nd, Prime Minister Trudeau will announce the approval or rejection of PNW LNG. 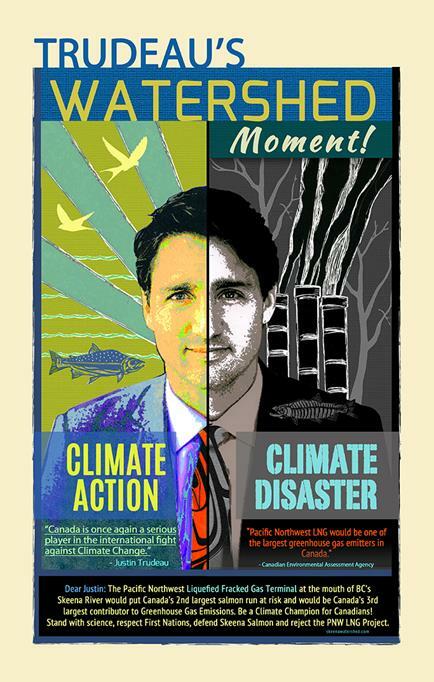 Tell Trudeau to take real action against climate change and reject PNW LNG! Our friends at SWCC made it real simple to tell Trudeau to Reject Petronas' PNW LNG terminal on Lelu Island! 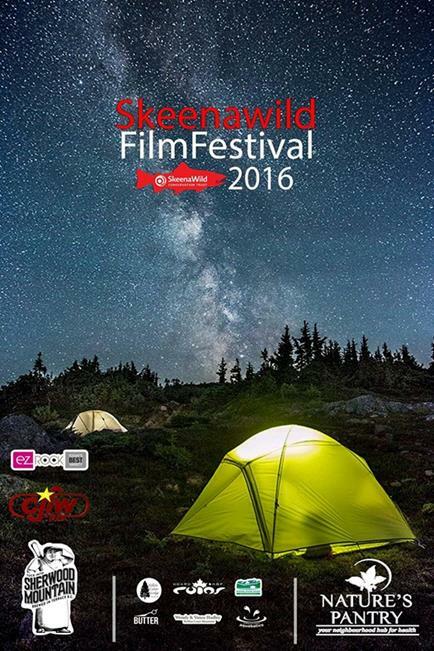 Submit your WILD stories to the SkeenaWild Film Festival! SWFF showcases the videos and photographs of visionaries, thinkers, movers and shakers from the Skeena Watershed and beyond into all corners of this big, beautiful world! Wild people, Wild places, Wild things. What’s your Wild? We’re looking for videos and photographs that tell the unique story of the Skeena and the people it sustains. Submit your creative works today and check out our new SWFF web site! The Great SkeenaWild Summer Giveaway Contest is coming to an end! Congratulations to last months winner Sterling Clark Jr. for winning the August prize package! Clark will enjoy a Dakine Wet/Dry 32L Backpack with Volcom Beach Towel, PLUS a SkeenaWild SWAG Surprise. The final Prize Package for SEPTEMBER will include: Echo 3 E3-7130 13'0"- 7wt - 4pc - 7.0 oz - Med Fast+ double hand fly rod, plus, SkeenaWild prize pack. This is the final week to entre so click the link below and entre before it's too late! Enter Here: The Great SkeenaWild Summer Giveaway Contest and fill in the form. 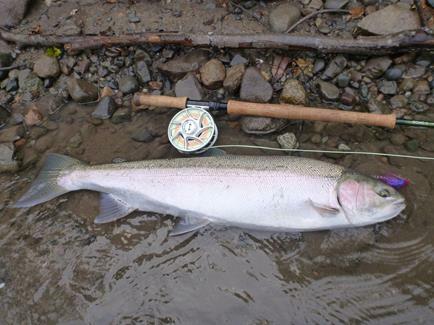 The SkeenaWild Fishing APP is your map to the best fishing in the Northwest. Essential for all rod wielding fish-heads! 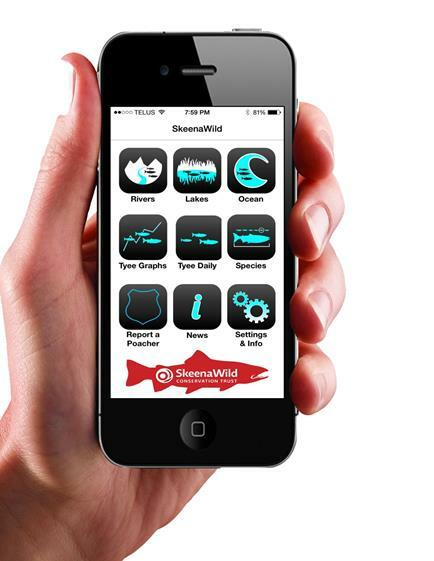 Plan your next fishing adventure with the SkeenaWild APP! You’ll never wonder where you are again with new updates to the Fishing APP that allows you to see every creek, river, mountain, town and fishing hole you’ll need this summer. If you’re planning on catching lots of fish this year, make sure to download the SkeenaWild Fishing APP today to ensure your freezer is filled to the brim come winter! The Fishing APP is available for all fishing men, women and children!